curriculum or for a beginning graduate course. transformation in a self-contained chapter, and the interrelation of direct notation, indicial notation, and matrix operations is clearly presented. A wide range of idealized materials are considered through simple static and dynamic problems, and the book contains an abundance of illustrative examples of problems, many with solutions. 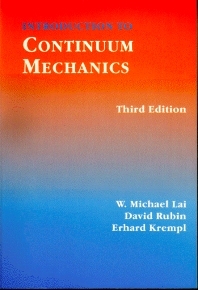 Serves as either a introductory undergraduate course or a beginning graduate course textbook. Includes many problems with illustrations and answers.